This week on TV marks the debut of The Hunger Games: Mockingjay Part 1. 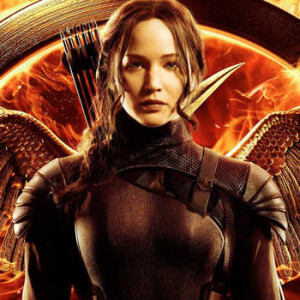 Catch the latest film starring Jennifer Lawrence as the relunctant hero, Katniss Everdeen. As the title suggests, this is Part 1, so lots of the action is being saved for the final film in the series. Still, there’s lots to enjoy, especially Jennifer Lawrence as Katniss. Available March 6. An odd but compelling film telling the tragic true story of millionaire John E. du Pont (Oscar-nominated Steve Carell) and his obsession with creating a world championship wrestling team (called Team Foxcatcher). Channing Tatum and Mark Ruffalo co-star in this disturbing film. Available March 3. Round three of the “Night at the Museum” films is pretty much what you would expect. The capable cast is back, including Ben Stiller, Owen Wilson, Steve Coogan and the late Robin Williams. The laughs are there, even if things aren’t as fresh as they once were. Available March 10. This documentary examines the lives (in and out of the ring) of boxing greats Mike Tyson, Evander Holyfield and Bernard Hopkins. Available March 13. Gritty story (based on a Shakespeare play) about dirty cops versus a motorcycle gang. The fine cast includes Ethan Hawke, Ed Harris, Milla Jovovich and John Leguizamo. Available March 13. A playful and creepy mockumentary about a man who claims he can prove to a horror filmmaker that monsters are real. Fans of fright flicks should enjoy this. Available now. Paul Thomas Anderson (“Boogie Nights,” “There Will Be Blood”) delves into the world of 70s stoners. Part comedy, part romance, part mystery – all fascinating if strange. Available now. Likable romantic comedy about a slumping screenwriter who is forced to take a job teaching at an east coast college. The film is buoyed by the presence of a first rate cast, including Hugh Grant, Marisa Tomei, J.K. Simmons and Allison Janney. Available now. Kevin Bacon is back for season 3 of this riveting (and pretty darn creepy) crime drama. Monday, March 2, NBC. The brilliant BBC series returns for another season. Round 2 focuses on the continuing fallout of the murder of 11-year-old boy. Wednesday, March 4, BBC America. It’s another “CSI” spinoff. This one stars recent Academy Award winner Patricia Arquette as a cyberpsychologist who heads the FBI’s Cyber Crime Division. Series debut. Wednesday, March 4, CBS. Jason Issacs and Anne Heche star as FBI agents who, when investigating a murder in Jerusalem, uncover an international conspiracy that has been in the making for thousands of years. “Dig” is from the producers behind “Heroes” and “Homeland,” so we’re expecting some thrills. Thursday, March 5, USA. Felicity Huffman and Timothy Hutton star in this new series that follows a single, racially charged murder, as well as the trial. Thursday, March 5, ABC. Catch the return of this twisted and wildly engrossing prequel to the classic “Psycho.” Freddie Highmore and Vera Farmiga are simply amazing. Monday, March 9, A&E. “Broadchurch” (who’s second season begins March 4) has been picked up for a third year by the BBC. Jason Jones, from “The Daily Show,” will star in a new TBS comedy series created by his wife (fellow “Daily Show” correspondent Samatha Bee) and himself. If anyone had hopes that John Oliver would flee HBO for the vacant “Daily Show” host spot, put those dreams to rests. Oliver’s “Last Week Tonight” has been renewed for two additional seasons, meaning the the British funny man will be locked up through 2017. Disney will wrap up its live-action comedy series “Jessie” after four seasons and 101 episodes. But fans can rest easy. A spinoff is in the works. Amazon has renewed “Mozart in the Jungle” for a second season. One Response to This Week on TV: Katniss Everdeen is back! Jennifer Lawrence is flawless as Katniss Everdeen in The Hunger Games. but this week The Hunger Games: Mockingjay Part 1 was showing pathetic because of to much violence.